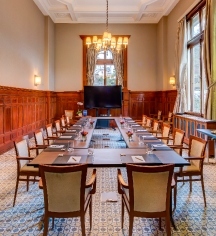 Those seeking professional meeting services in Montreux, Switzerland will be delighted with the venues at Fairmont Le Montreux Palace. Comprehensive professional services combined with state-of-the-art facilities are the standard at this hotel. There are 15 meeting venues on-site that are bathed in natural light, including dedicated boardrooms, extravagant ballrooms, and meetings rooms with workstations and ergonomic seating. From an intimate meeting of 12 to a professional conference of 1,200, the palace can effortlessly accommodate all kinds of groups. Event planners are on hand every step of the way to help plan, while Dorier provides stellar audiovisual support for dynamic presentations. 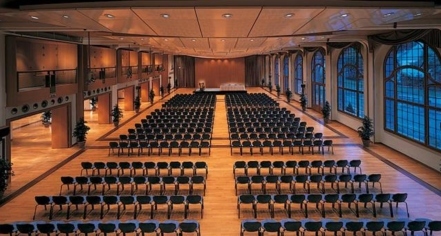 With over 40,000 square feet of space, the Fairmont Le Montreux Palace can meet the needs of any group.